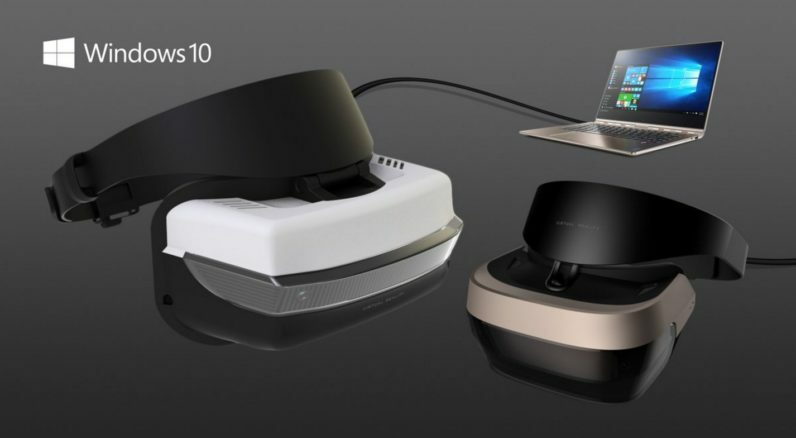 Not to be outdone by all the other companies announcing VR news today, Microsoft has finally revealed the minimum specs for its own virtual reality platform (or mixed reality, as Microsoft likes to call it), also known as Windows Holographic, during its WinHEC event in Shenzen. Microsoft’s Alex Kipman, creator of HoloLens, also assured me that the VR headsets should work with any modern computer with dedicated graphics. Basically, if it’s as powerful as the Kaby Lake iGPU, then you should be set. That might explain why the company wasn’t so worried about meeting Oculus’ or HTC’s minimum VR specs with the new Surface Book and Surface Studio – they should be able to handle Microsoft’s own platform just fine. It also bodes well for the bulk of new laptop coming out next year. Of course, it’s not like you can expect integrated graphics to match an Nvidia 1080, but Kipman tells me that Microsoft wants Windows Holographic to be especially scalable from mainstream to premium PCs. That’s going to be aided by the variety of hardware partners Microsoft is bringing to the table, instead of keeping Windows VR to basically to manufacturers. In addition to the previously announced products from Acer, Asus, Dell, HP and Lenovo, Microsoft is also adding Chinese manufacturer 3Glasses. You may not have heard of them in the US, but 3Glasses actually makes some of the highest spec’d VR units on the market. How practical lower-end systems end up being in real life, we’ll have to wait and see. Still, with headsets starting at $300, it’s nice to know that future VR experiences on your PC won’t necessarily cost you an arm and a leg on both gear and internal hardware. For developers looking to create their own VR experiences, Microsoft will start to make dev kits available during the Game Developers Conference in February.